This page will become strictly a real estate news page or news that can affect real estate. How will that affect you? What does it mean for your chances of getting a job, a mortgage or a decent pension? 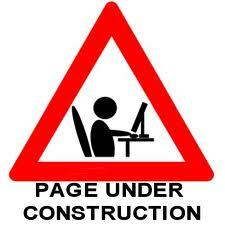 Our whole web site is always a work in progress and there is just so much time to build things. This section has not been checked for a while. The reason that it remains here is because many of the links may lead to relevant information that can still benefit you. Do Big Firms Have A Sales Gap? Thousands of newspapers on the Net Links to more than 5000 newspapers on the Internet. Since New Year's Day 2000, Americans' stock portfolios have lost nearly $4 trillion, but their home equity has grown by $1.2 trillion. Real estate . . . still the best investment! How Many Online? Who is Using the Internet? Canada Best country to do business next five years. Tops in broadband use. ICIWorld recommends Spam Arrest to stop spam in its tracks. Home pages within 60 minutes of joining ICIWorld. Ask to see sample home pages. Add 18,000 listings to your home page. It will generate leads for a lifetime. News for your area? Click on any link that starts with News above. When you get to Yahoo news, in the search news box, type in your state or province or city and the words real estate news and search. For example type in Denver real estate news or Atlanta real estate news. To show the continued growth and expected use of the internet here are some interesting figures to demonstrate. The Internet and related services continue to grow! Total online retail revenue in Asia-Pacific for 1999 was $2.8 billion, compared to $3.5 billion in Europe and $36.6 billion in the United States. But the region is projected to grow to more than $7 billion this year. The major countries are Japan, Korea and Australia. Europe's consumer Internet industry is growing faster than ever before. The 25 million Western European households with Internet access will grow to 64 million by 2004. By the end of 2000, 18% of Spanish households and 40% of Swedish households will have PC-based Internet access. More than 86% of the 1 billion Web pages are in English. Teens do not access the Internet as much as adults: 38% of teenage Internet users access the Web more than once a day, compared with 52% of adult Internet users. Canada must do a much better job of explaining itself to a U.S. audience that extends beyond politicians and diplomats. An insistent reminder is required that Canadians fought and died in Afghanistan, that Canadian ships are protecting U.S. ships attacking Iraq, that trade is two-way and worth nearly $2 billion a day. Commercial real estate Haves and Wants for the World. If your company or organization has a news page, we may be happy to place a link here. Contact us. Jan/2003. New records are set regularly by members on ICIWorld. There are now over $1 Trillion of Buyers, over $6 Billion of property sale and lease opportunities. There are over 8,000 pages on the Internet that link to Haves and Wants on ICIWorld. There are now over 10,000 EMails delivering Haves and Wants daily to the industry world wide. Sept./2002 ICIWorld has now developed and operates its own ICIWorld EMail List Servers. Yahoo reported there were too many listings (messages) within a twenty minute period and arbritrarily cut off the 3 largest ICIWorld services and left 38 of ICIWorlds smaller servers operating. ICIWorld now does the EMailing itself. ICIWorld distributes over 10,000 EMails per day to selected EMail services around the world of listings added to the service. It does this instantly and automatically for member Haves and Wants. It is free for the public to subscribe. Members report liking it better because there are no pop up ads. You can subscribe free to receive Haves and Wants for your location. You make contact and do deals right from the EMails. ICIWorld EMail List Servers. ICIWorld speaks at major financial events attracting investors to network Have and Want real estate information with members. Restaurant News. A restaurant dealer is not only selling equipment, but also helping operators where they can find a place to use it. Arctic Refrigeration and Equipment has entered what it says is "an exclusive strategic alliance" with ICIWorld Commercial Real Estate Network. "This gives Arctic the capability to offer its new and existing restaurant operators immediate access to hundreds of commercial real estate professionals nationwide," says the release. Arctic customers can use the network to find sites for new openings or relocations says Arctic manager Cameron Stewart. For ICIWorld this provides leads for member brokers and salespeople to find and lease and sell space. A recent article in Fortune Magazine stated "97 out of every 100 self made millionaires made it all through real estate investments!"